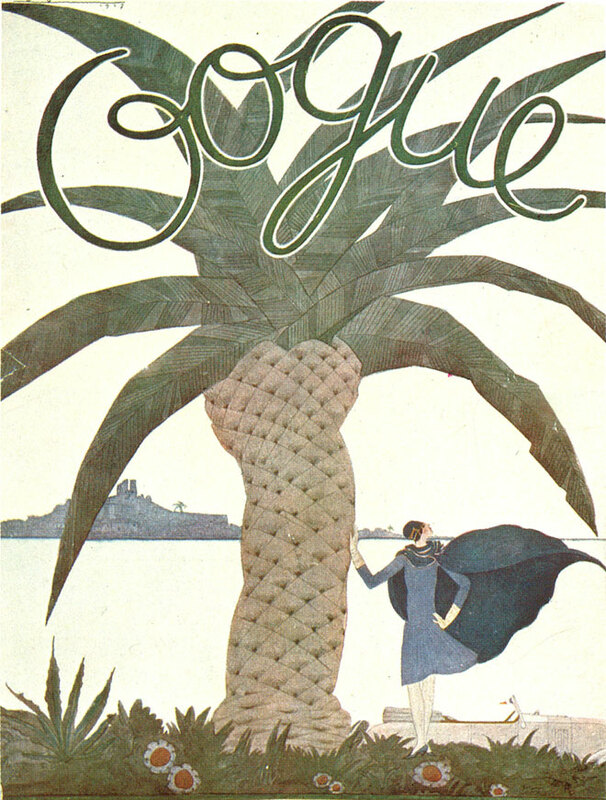 the first issue was published on December 17 of that year, with a cover price of 10 cents (equivalent to $2.64 in 2015). 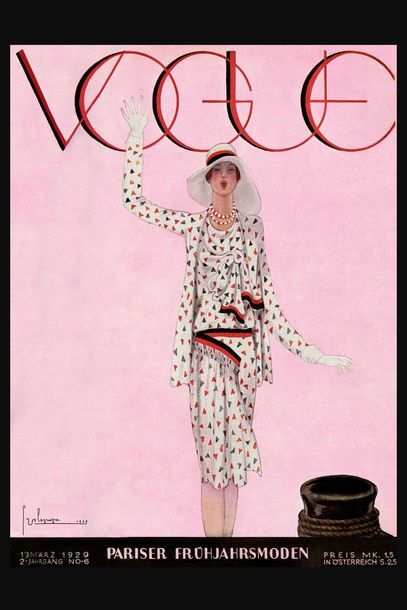 which was first created in 1892 as a New York weekly journal of society and fashion news. 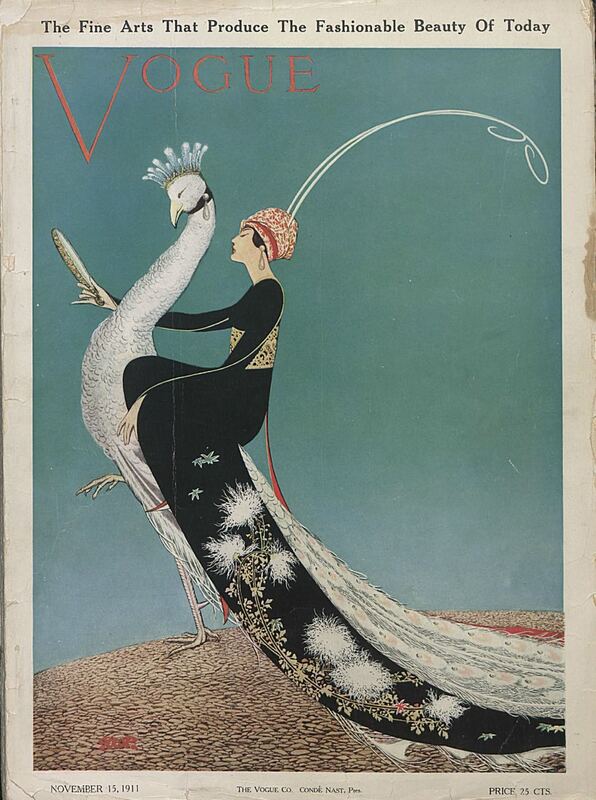 He changed it to a bi-weekly magazine and also started Vogue overseas in the 1910s. 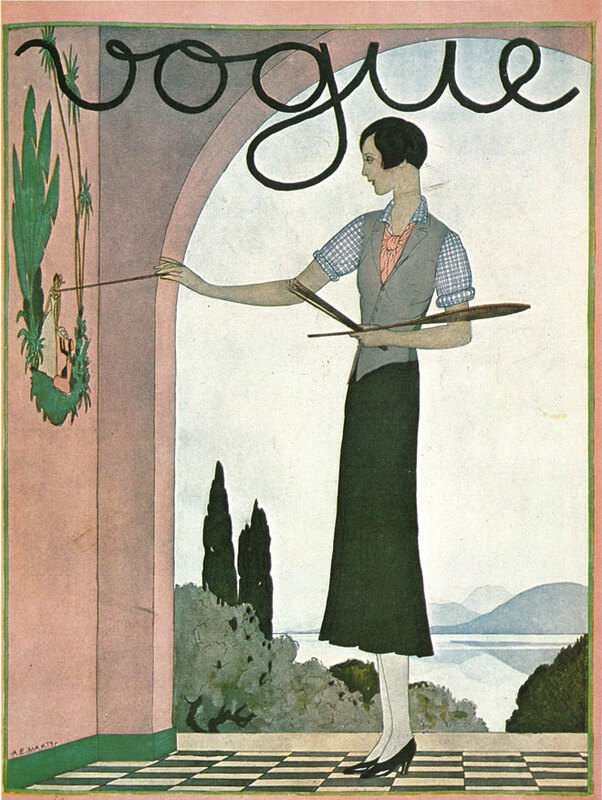 where the magazine was well received. 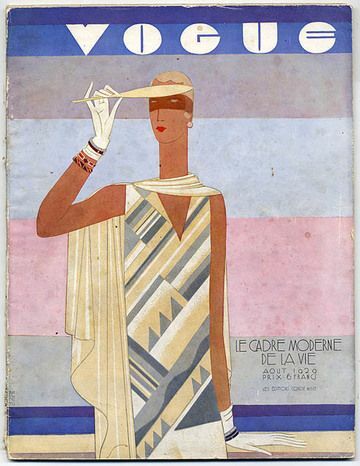 The magazine’s number of publications and profit increased dramatically under Nast’s management. 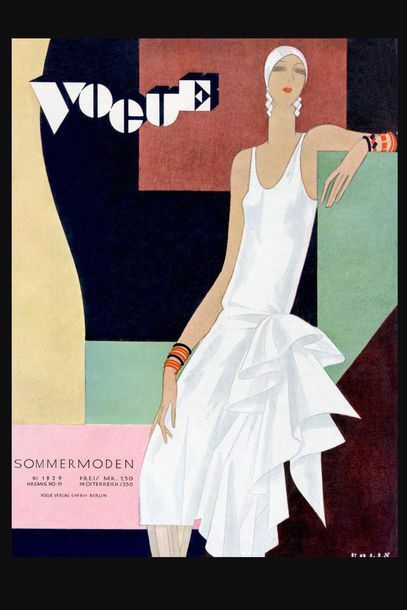 The Roaring Twenties was not only a decade of great economic growth and widespread prosperity, a boom in construction, and the rapid growth of consumer goods such as automobiles and electricity. 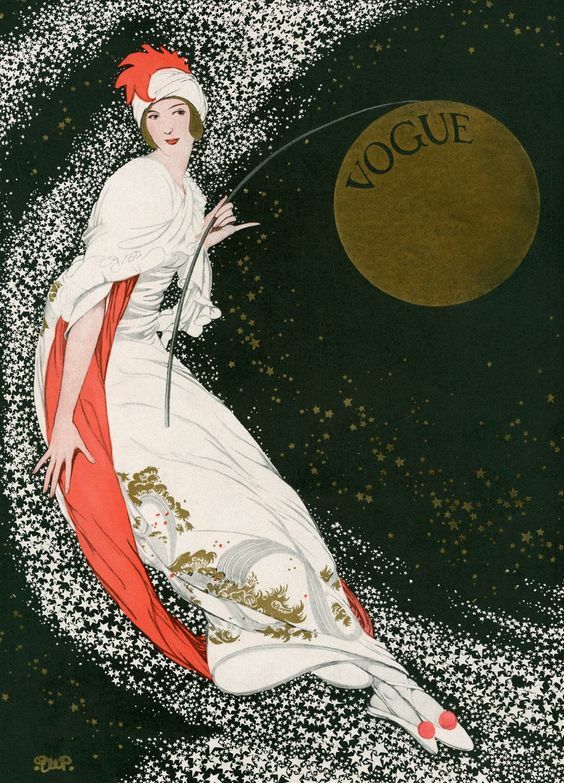 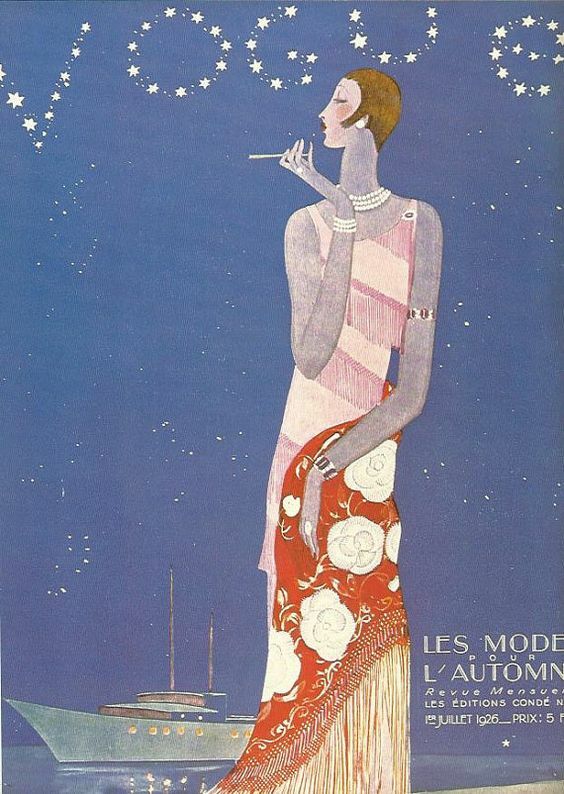 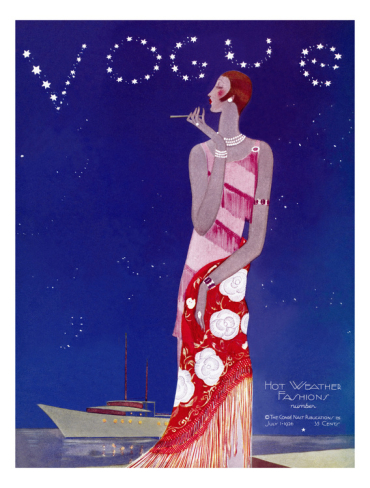 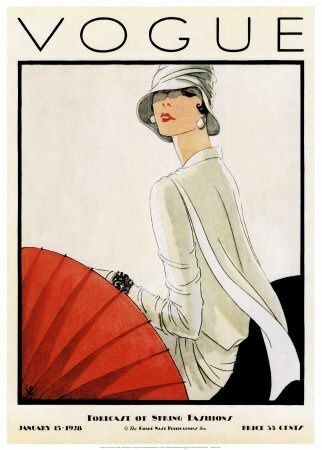 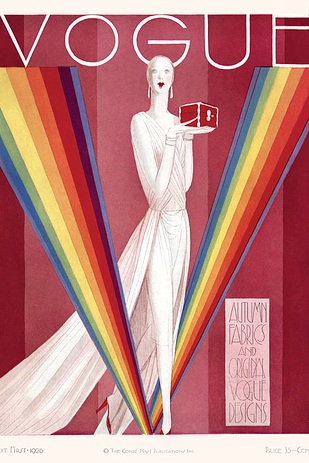 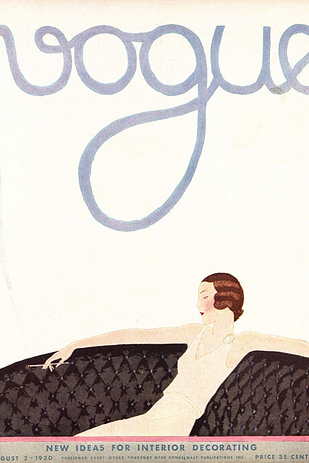 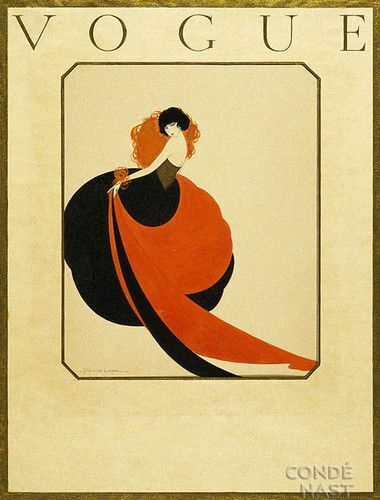 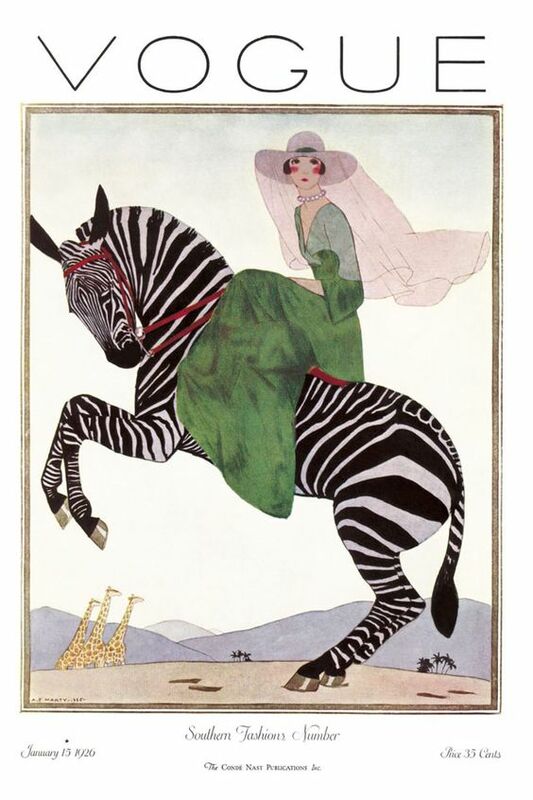 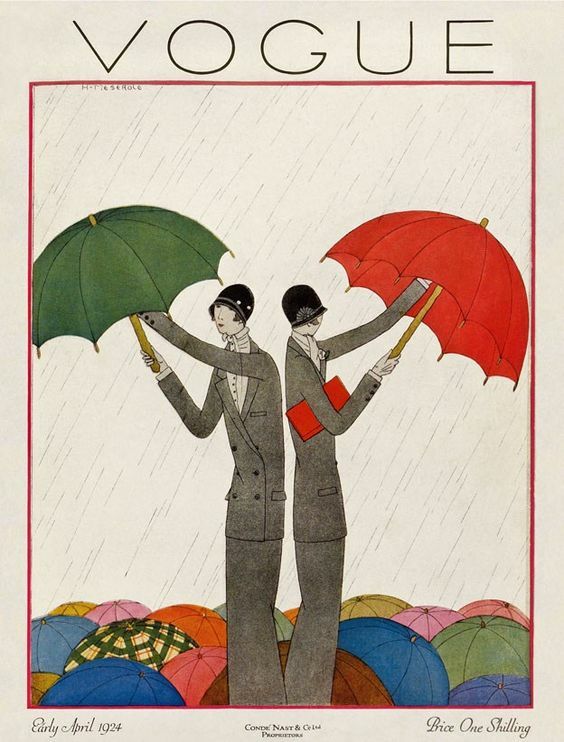 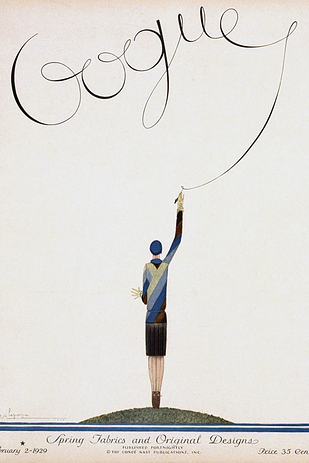 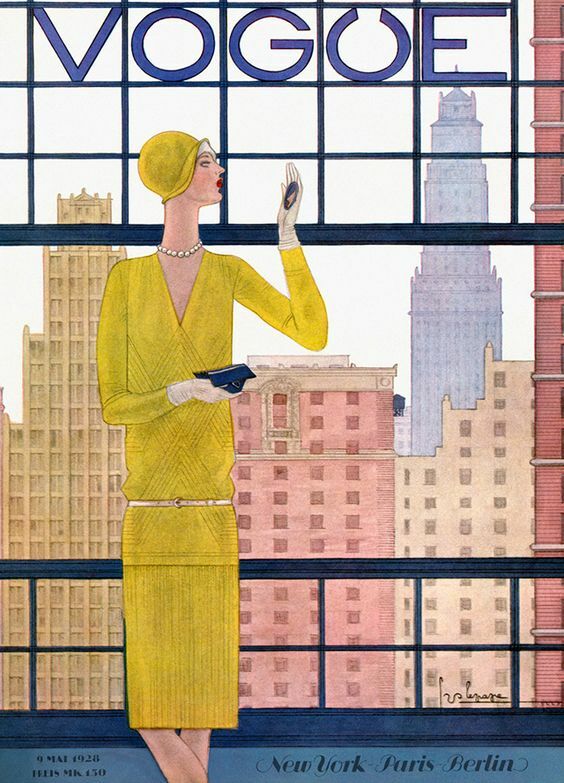 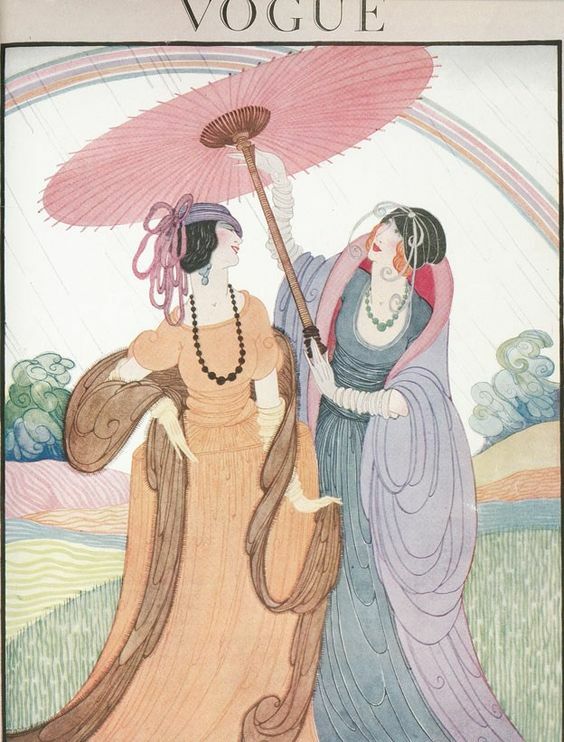 It was a Golden Era of Fashion and Style illustration which flourished on a Vogue’s magazine covers. 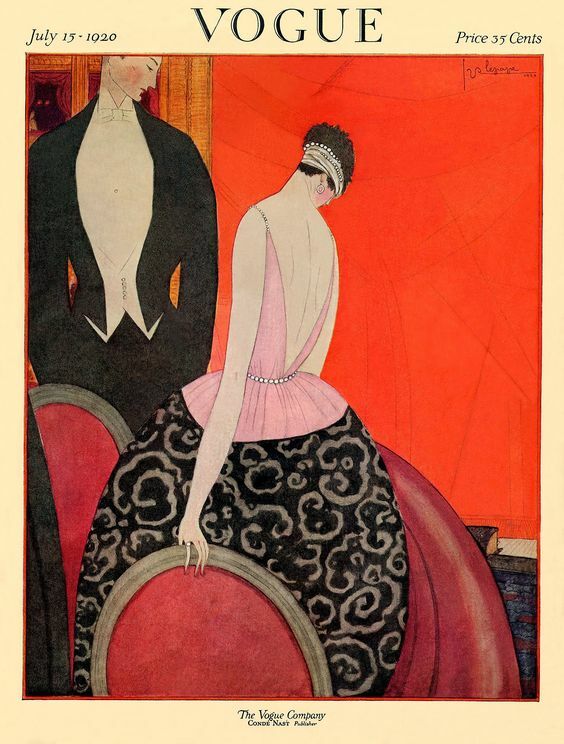 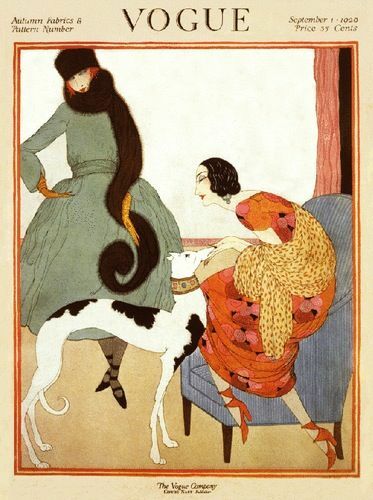 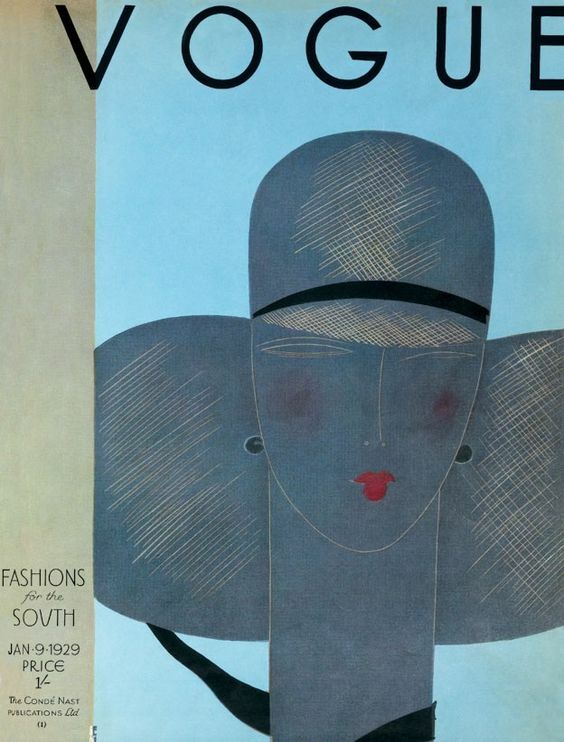 Remarkable works of a great artists including Porter Woodruff, Helen Dryden, Harriet Meserole, Eduardo García Benito, Georges Lepape, George Plank Vogue magazine’s covers exude unique atmosphere of 20’s. 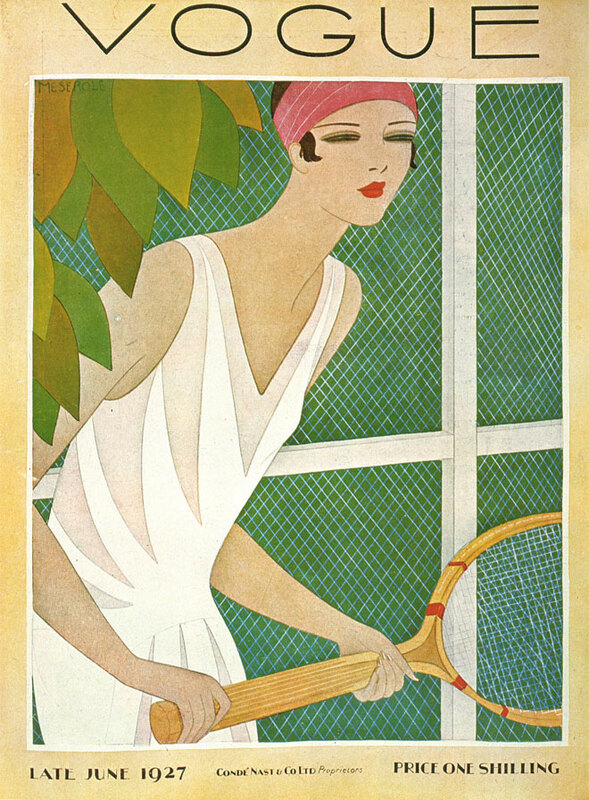 In the late 1930s the illustrated covers of magazine were replaced with photographic images which makes those covers even more precious.